It seems there has been a bit of confusion about the latest Nexus phone's carrier compatibility here in the good ol' US of A, and I'm here to settle one of the questions asked by a number of our readers: does the Nexus 5 fully work on AT&T's network? The short, simple answer: Yes. 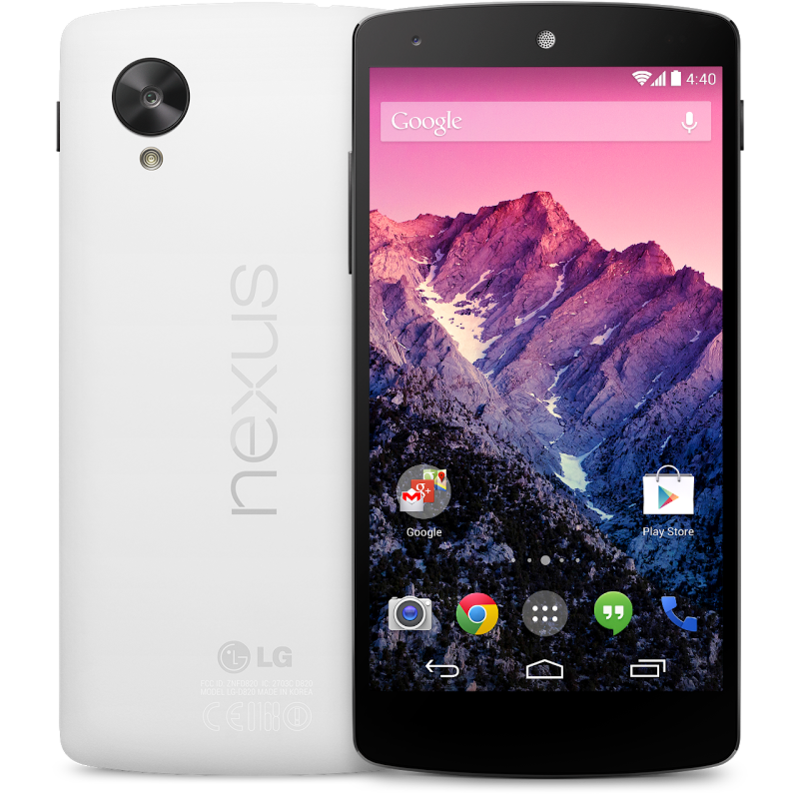 The Nexus 5 is fully compatible with all of AT&T's existing 2G, HSPA+ (3G / Faux 4G), and LTE infrastructure. If AT&T service is available where you live (even including AT&T Puerto Rico), the Nexus 5 is totally AT&T-ready. The longer answer, if you're interested, follows. Currently, AT&T operates its network on 4 different bands, if you're looking at the 3G / 4G frequencies. AT&T's 3G uses the 850 and 1900MHz bands (aka bands 5 and 2, respectively), while its 4G LTE service uses bands 4 and 17. In the future, AT&T's LTE network will likely expand to use band 29, and possibly band 30 (AT&T doesn't control all the necessary leases for this band yet). That band 29 deployment is not planned to begin until next year, and will likely only be used to supplement existing AT&T LTE service in major metropolitan areas. The Nexus 5 supports the following WCDMA (3G HSPA+) bands: 1/2/4/5/6/8/19. You can see both of the respective AT&T bands are supported. The Nexus 5 also supports the following LTE (4G) bands: 1/2/4/5/17/19/25/26/41. Again, note that both deployed AT&T LTE bands are supported. Edit: As commenter lensgrabber points out, activating the Nexus 5 on AT&T could potentially be difficult, especially if you're a first-time AT&T customer opening a new account. I once attempted this with an unlocked LTE phone, and AT&T was only able to provision my account for 3G HSPA+ service because the IMEI profile for the device wasn't in AT&T's system (though blix247 says it worked fine for him). I'm unsure if this is still an issue, but if you're an existing customer, take lensgrabber's advice: you may not want to let AT&T know that you are changing devices unless your Nexus 5 isn't working right with the network. If you already have AT&T LTE service (eg, have an AT&T LTE phone), you should have nothing to worry about. Just pop in your SIM (you may need to enter an APN, too, I'm uncertain). Why doesn't Google list AT&T on the Nexus 5's specification for "Supported Service" alongside T-Mobile and Sprint, then? I think I know why. The reason, I'd guess, is simple: both T-Mobile and Sprint will be selling the Nexus 5 off of the Play Store for customers who choose to take advantage of that option. AT&T will not. It's very likely only T-Mobile and Sprint put the Nexus 5 through their respective network testing and certification processes and issued it a seal of approval. Google may be seeking to promote such behavior. AT&T has never sold a Nexus phone (I really flubbed that one - they sold the Nexus S, for the record! ), and will likely never sell a phone with a manufacturer-supported unlocked bootloader policy. AT&T may also just not be interested in selling the Nexus 5, who really knows. Anyway, rest assured, your Nexus 5 will work just fine on AT&T for its realistic service life. It may not support AT&T's upcoming band 29 LTE, but the likelihood of this being a serious issue is very, very low. On the other hand, the fact that the Nexus 5 supports band 41 is likely to be very important for Sprint customers, as this frequency will serve as the backbone of Sprint's new tri-band LTE network. For more, check out the Wikipedia pages (and the Nexus 5 specifications on the Play Store), below.